You’ve probably come to a point where you’ve been bombarded with so much 3D modeling work and need some good free 3D models to use in your film and game projects. Well look no further, here are 11 websites where you can get some awesome free 3D models for your films/games/etc. This is the home of all 3D model websites. Think of it like the Google of the 3D modeling world. No, probably more like the Amazon store of the 3D world. They have the largest collection of 3D models and you can find almost anything you want. From a model of a dog, to city skyscrapers, characters, monsters, epic and beautiful scenery, you name it. They have it all. Not all the models on this site is free though. They can range from as little as zero to many thousands of bucks. Since this is a list of free 3D models, it’s best to show how to get the free stuff. Just search for whatever you want like “car” for example. Then, you’ll see a bunch of filters on the top of the page like Compatibility, Formats, Price and so on. Click Price and set the $Min and $Max to 0. Press Apply and marvel at the massive library of cars you can use to download for free right now! You’ll need to register an account with TurboSquid to download models though. Having an account with TurboSquid has its own perks though, like the ability to later sell your own 3D models and stuff like that. 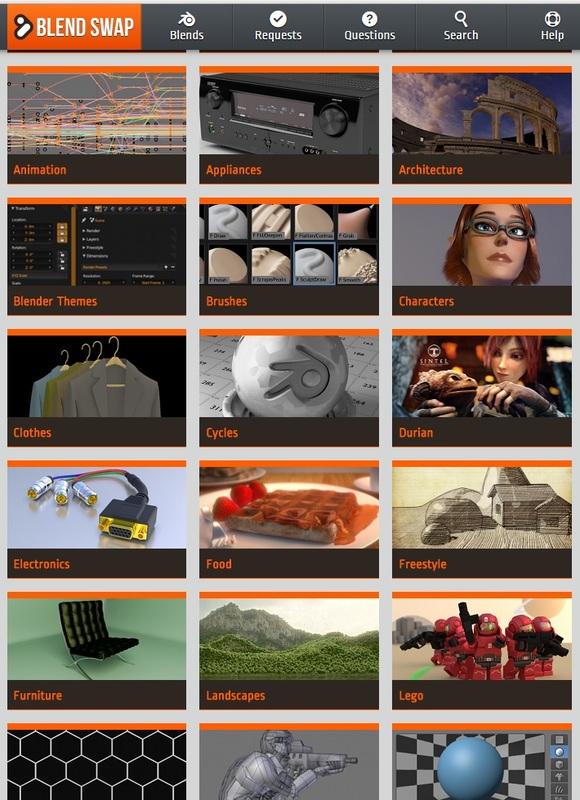 This is another handy site containing a massive library of 3D models. The site claims that they have over 45k models. That’s 45k models that you are legally allowed to download and use in your scene for free! They have a whole bunch of stuff from furniture, to equipments/appliances, house-related items, and even characters (including animals). A very handy site where you just find stuff and when you like something, you just download it (without having to register or anything like that). Similar to Archive3D, this is another handy 3D model site. The site predominantly features house-related items like furniture, kitchenware, exteriors and things like that. A downside is that most of their stuff seems to be only available as a MAX file. Also, some of their links seem to be broken and do not download. I assume this is an older website that hasn’t been updated in a while. CGTrader also features some paid models, but there is a dedicated section for free 3D models. The website has a professional look to it, similar to TurboSquid, and also features a ton of awesome free goodies. The number of free 3D models isn’t as extensive as TurboSquid or Archive3D but they do seem to be of higher quality (especially when compared to Archive3D). They have multiple formats available such as obj, max, 3ds and even blend (for some of them). They have models from almost every type of category. They even have rigged and animatable objects that are completely free as well! Certainly a quality site to check out if you are creating a more ambitious project that requires a more artistic look! The Free 3D Models is a site dedicated for downloading of only free 3D models. They have a collection of over 13k models which are all neatly categorized. The site also has some useful tutorials and a forum. Although the forum does not seem to be that active. Nonetheless, another great site to download some cool free 3D models and you even have the ability to upload your own creations to the site. Yet another awesome 3D model site. A lot of their free 3D models are quite beautiful and professional looking. I found this site to be a great place to grab some furniture and interior related items. You’ll need to register an account with them before you can start downloading anything. A very popular free 3D model website which has tons and tons of free stuff. The site is pretty much owned by Google as the models here are used in Google Sketchup. The site has mostly architectural 3D models. You don’t need any account or anything. A lot of the models though seem to only download as a Sketchup format and/or a COLLADA file. If your 3D software can import these, then this site will be useful to you. This site has a mix of free 3D models and paid 3D models. To get the free stuff, go to the Daz Shop here, and then where it says “Sort By”, select “Price Low-High”. Most of the models here will only be compatible with the Daz3D software only. You will need to have Daz3D installed and get the models you want into Daz3D. After that, you can export those models to an OBJ or a COLLADA file and then import that into your own 3D software. I have had success exporting characters out of Daz3D. In fact, this is a film I made with Blender and those characters were exported out of Daz3D. So, I assure you it works! Clara.io is a site for modeling, animating and rendering online. It is a Cloud-based 3D software service. They also have a library where people can share their creations and we can download them for free. This site is REALLY growing in terms of popularity and has over 100k creators who contribute their 3D models. You’ll need an account to download stuff though. This is a favorite of mine! I have used BlendSwap in nearly all of my 3D animated films. One caveat though, it is only compatible with Blender. All the models here download as a .blend file and can only open in Blender. 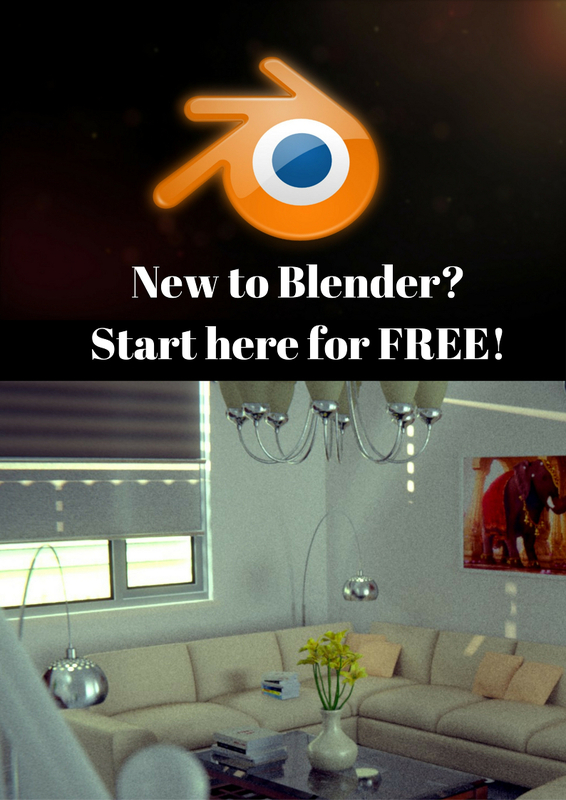 If you want to export to your own 3D software, you will have to have Blender installed and export the model from within Blender. In Blender, you can do this by File->Export and choose an extension that suits you. You will also need an account with BlendSwap to download models. The community here is quite active so you can ask questions and even request free 3D models. And that’s it! I’m sure there are a ton of other free 3D model sites out there but I hope this list helps you in finding the right 3D model for your 3D projects. Feel free to suggest any other free 3D model sites below! Hope this helps and thanks for reading!